Black metal has never been a stranger to folk mythology and heritage, and for many people it’s what draws them to the genre in the first place. Musicians may typically utilise the more traditional aspects of folk music to create a more substantial link between the extreme form music they play and the more historic – sometimes nostalgic – sentiment behind the piece. 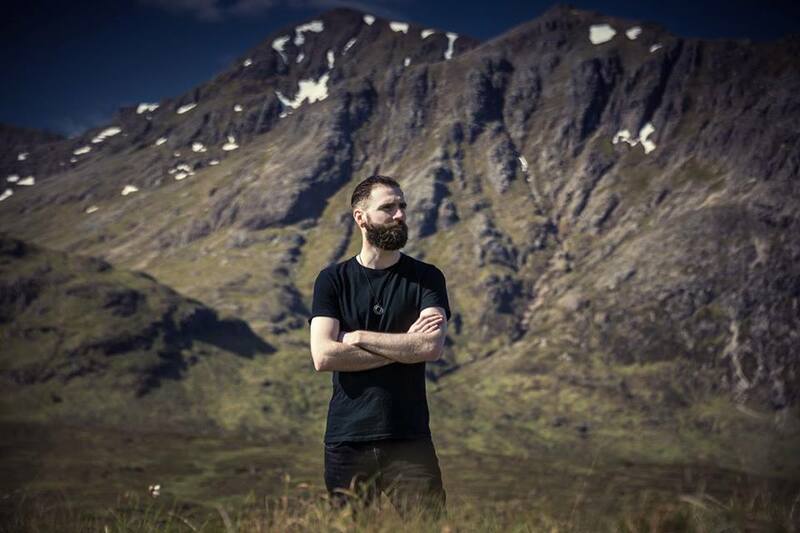 Saor, the one-man project masterminded by multi-instrumentalist Andy Marshall, embodies many of these characteristics; much like Saor’s previous two albums, Guardians is an exploration of Marshall’s Scottish ancestry, utilising Celtic folk music to bring this typically intense form of metal closer to his historic roots. Being a celebration of cultural identity, Saor has always appeared optimistic and hopeful. Much like its Scots Gaelic translations, the project has always aptly reflected the ideal of freedom , and this new record represents nothing if not freedom; a graceful and melodic release that succeeds in evoking the very same nostalgic sentiment the project is known for, and building on the foundations of Marshall’s previous work. Individuals already invested in this style of metal may already be familiar with an act like Panopticon , another solo black metal project where multi-instrumentalist Austin Lunn explores his Kentucky roots by utilising bluegrass music to tie the gap between the modern metal stylings and the cultural history of the region. Similarly, Panopticon’s music often carries more impassioned themes of one’s home and origin. 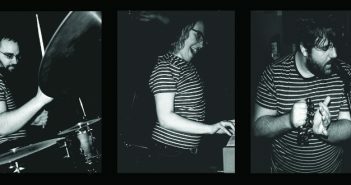 The connection between these two projects goes further than simply stylistic similarities; Lunn has even collaborated with Saor in the past, providing drums on the last album Aura, and many of the aspects of Panopticon’s music are visible in Andy Marshall’s work as Saor. Marshall himself has been keeping himself busy with not just one, but two black metal projects of his own; a side-project, Fuath, released its first album – titled I – earlier this year. On the surface, the two projects play a relatively similar style of music, where they ultimately differ is in their execution and sentiment. Fuath’s  more misanthropic and moody tone contrasts all too well with the notably triumphant tone expressed under the Saor moniker, showcasing Marshall’s versatility within the genre. Guardians shows Marshall excelling in his ability to craft emotive and highly cinematic pieces of music; the record opens with an ensemble of guitars, drums and bagpipes, perfectly setting the tone for the rest of the album, as Marshall invokes a grandiose image of Scottish Highlands. The title track describes the eponymous Guardians sleeping within the mountains, the “martyrs of Scotland”, while ‘The Declaration’ features lyrics reminiscent of a battle cry; “Liberty’s in every blow! – let us do or die!”. This patriotic sentiment is prevalent throughout the entirety of the album; the lyrical content is nothing if not proud and sentimental, with this sense of cultural identity being most notably shown in the track ‘Hearth’, describing a man “with soul so dead / who never to himself hath said; this is my own, my native land!”. The track continues in this vein, evoking images of natural beauty characteristic of the Scottish wilderness, singing of “ancient glens”, high mountaintops and ruins. Such descriptions paint an almost fantastical picture of the country’s past, while references to groups like the Caledonians in ‘Tears of a Nation’ showcase Marshall’s attention to detail in retelling Scotland’s history. Saor’s lyricism is undoubtedly highly evocative and romanticised, complimenting the equally wistful melodies found in the music itself. The step up in production is immediately obvious if we are to draw comparisons with Aura; even as multiple melodies vie for the listener’s attention, it envelops rather than overwhelms. The music is ultimately much denser, and less rough around the edges, and where some black metal acts seek to suffocate their listeners in walls of sound, Saor places more of an emphasis on clarity. 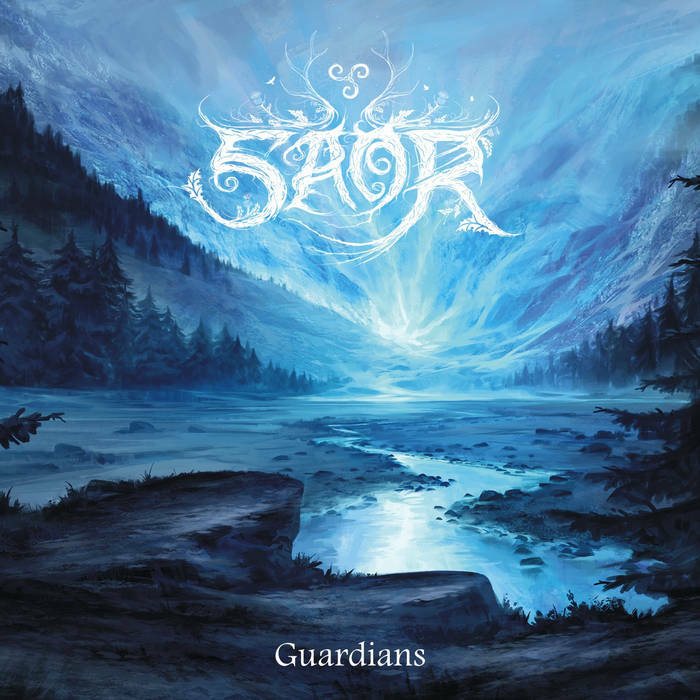 The inclusion of folk music is equally as prominent on Guardians as in Saor’s past releases; tracks like ‘The Declaration’ utilising bodhrán  drums maintain this link between the old and the new, these more primitive drums accompanied by a gentle and clean guitar melody. Guardians is not short of emotional depth; instances like the sorrowful opening passage of ‘Autumn Rain’ are only accentuated by the inclusion of strings accompanying a sombre guitar melody. These more melodic segments in this album are perfectly counterbalanced by the sheer ferocity and might of the heavier sections, the songs surpass the 10-minute mark while curving gracefully through each section. Guardians consistently captures the pure essence of folk-tinged black metal with its brilliant multi-faceted structure, neatly and elegantly weaving together the melancholic, intense and sombre themes that encompass this record. There’s an unshakable feeling of nostalgia – something not uncommon to this subgenre – but Saor’s nostalgic spirit is presented as so eloquent and genuine that it easily stands out among the rest. Andy Marshall’s growing songwriting ability is palpable, with Guardians being easily the most refined and enjoyable Saor record to date; it excels not only in terms of composition and production, but the poetic nature of the lyrics lends itself a warmer, sentimental atmosphere; a truly heartfelt love letter to one’s ancestry. ‘Saor’ literally translates as free (as in independence) in Scottish Gaelic, and ‘Fuath’ as hate. Panopticon is a US black metal project masterminded by Austin Lunn. I’d recommend checking out the most recent release Autumn Eternal here on Bandcamp. ‘Caledonian’ was a term used by the Roman Empire to refer to the indigenous peoples of Scotland, who fought with the Romans on several occasions. A bodhrán is a frame drum played with a cípin (a small wooden stick-like item), dating back to mid-19th century Ireland.